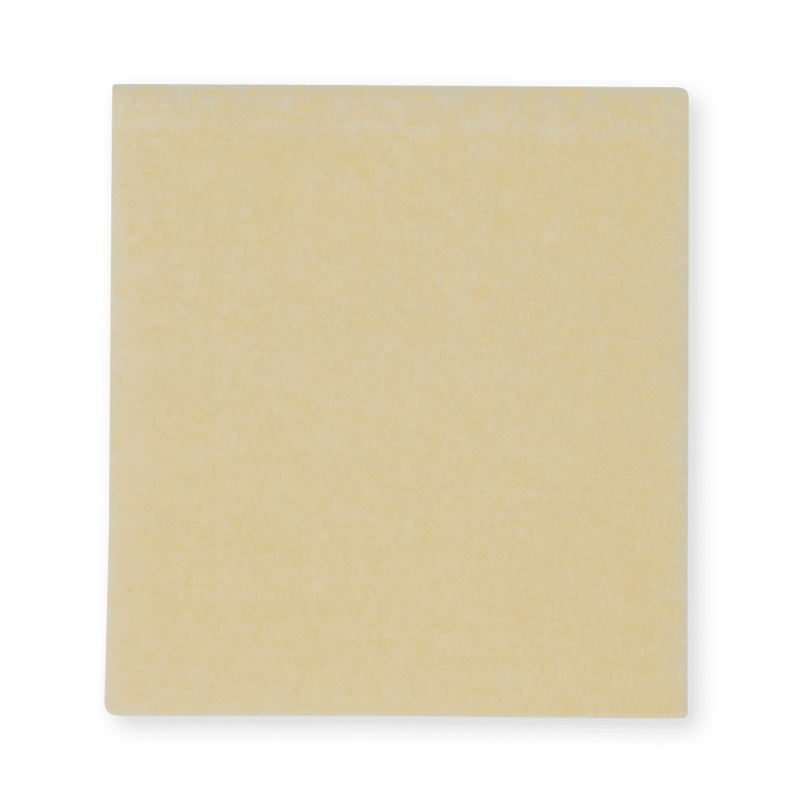 Containing a thin layer of bioactive, high potency medical grade Manuka honey, MANUKAhd Super Lite fiber pad provides a daily dressing equipped with a super absorbent, cross-linked mesh gelling surface for greater clinical ease and patient comfort during each dressing change. 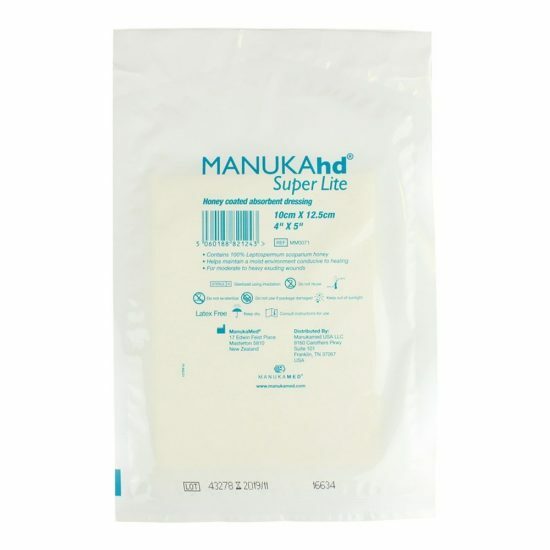 Impregnated with the highest potency and consistency of ManukaMed medical grade honey, MANUKAhd Super Lite takes up eschar and debris tissue, enabling swelling and gelling upon contact with exudate and necrotic surfaces while lowering pH and reducing/eliminating malodor. As a composite bi-layer dressing, its enhanced flexibility at the wound bed is safe and recommended in combination with other additive Manuka Honey dressings (i.e. MANUKApli, MANUKAtex and MANUKAhd) to ensure necessary clinical benefits with every treatment. MANUKAhd Super Lite stimulates autolytic debridement in venous ulcers, diabetic foot ulcers, press ulcers, arterial and surgical wounds, first and second degree burns and skin tears. 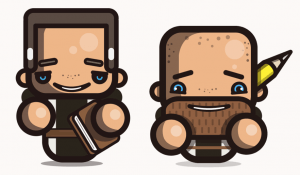 Pad Size Choose an option0.5" x 18.7"2" x 2"4" x 5"
0.5" x 18.7", 2" x 2", 4" x 5"